We only have two more home bouts this year so clear your schedule for the 24th to come watch us take on the Charlottesville Derby Dames. For those of you who missed our April bout, we brought home a victory and the Dames have politely said they are not going to let that happen again. It should be a good bout to watch and both teams fight for the win! You know the drill with the rest…. Saturday night, doors open at 6pm, first whistle blows at 7pm. 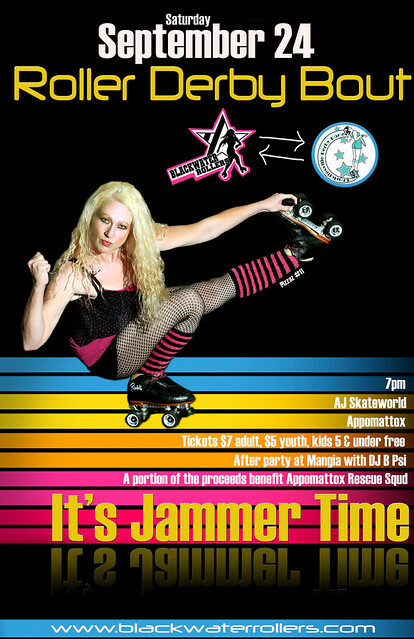 Presale tickets are available from your favorite derby girl! Did we mentioned that we are having our most popular half time back? You won’t want to miss that! A portion of the proceeds will benefit our friends at the Appomattox Rescue Squad. For more information, click here!